In a concerning trend, airline passengers are continuing to value their luggage over their own personal safety and that of their fellow travellers. 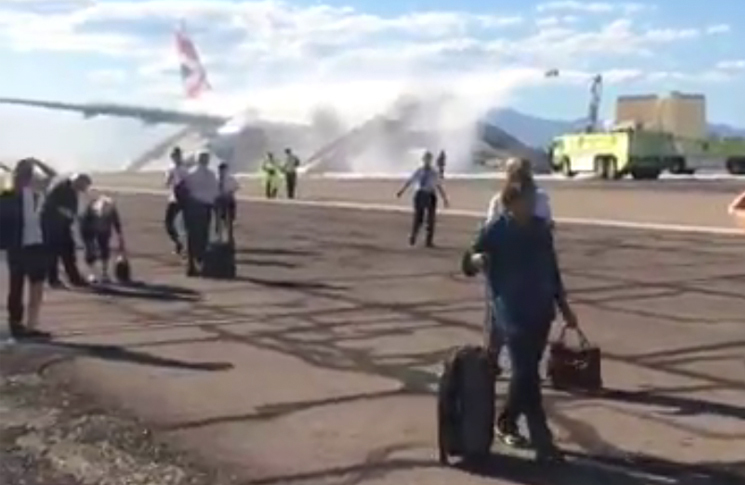 In the wake of British Airways Flight 2276’s catastrophic engine failure in Las Vegas, footage has emerged of passengers walking away from the smouldering aircraft, post-emergency evacuation—some dragging luggage behind them. Footage of another emergency evacuation early in the year, also in the United States, highlighted the ignorant complacency of the general public. Despite blaring warnings to ‘Leave your belongings, evacuate left side!’ passengers can still be seen clutching for jackets and handbags with some even opening overhead lockers to salvage their carry-on luggage. Aviation regulations around the world require aircraft passengers to obey the commands of crew in an emergency, and not to recklessly endanger an aircraft. Dragging your roll-aboard behind you in an evacuation breaks both these rules. As detailed in Flight Safety Australia’s 100 Foundations of Aviation Safety, in the extremely rare event of a crash, evacuating passengers safely is a critical logistical challenge. This was highlighted in a 1991 collision between a Boeing 737 and a Metroliner on the runway of Los Angeles International Airport. Not one passenger on the 737 died as a result of the collision. However, 20 passengers still perished from smoke inhalation and burns, with half dying in a queue as they waited to use the right over-wing exit. The International Civil Aviation Organization (ICAO) requires the evacuation of passenger aircraft to be completed in less than 90 seconds, using only half the exits, to ensure loss of life similar to the Los Angeles accident does not happen again. New aircraft are rigorously tested to ensure that the 90-second standard is maintained. Before its certification the Airbus A380 underwent trial evacuations to ensure that all the 873 people on board were able to leave the aircraft and reach the ground in that time.